The results are finally in and we can now reveal Better Reading Top 50 Kids’ Books for 2018. 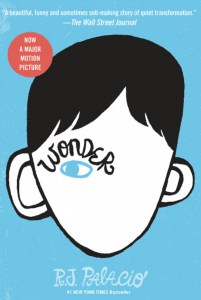 You’ll find lots of beloved children’s classics, a wonderful range of captivating series along with some new favourites – and plenty of Australian books on the list, too. 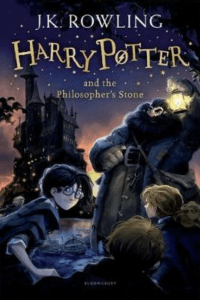 It’s no surprise to see the Harry Potter Series at the top of the list with Harry Potter and the Philosopher’s Stone (#1). Closely followed by the classic The Magic Faraway Tree of the Faraway Tree series by Enid Blyton (#2). Once again there are plenty of well-known classics on the list, such as Dr Seuss’ Cat in the Hat (#30), Oh, The Places You’ll Go (#22), and Green Eggs and Ham (#15), and there are classics perfect for younger readers, like Winnie The Pooh (#20) and Wind in the Willows (#26). There are also some fantastic new titles in the mix. 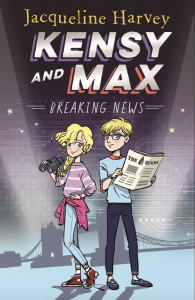 It’s great to see Kensy & Max: Breaking News (#5), Wonder (#9) and Nevermoor (#10) all in the top 10. No list of the best kids’ books would be complete without Roald Dahl: Matilda (#4), The BFG (#6), Charlie and the Chocolate Factory (#14) and The Witches (#28). For middle grade readers, who can go past the WeirDo Series: WeirDo by Anh Do (#13), The Treehouse Series: The 13-Storey Treehouse by Andy Griffiths (#12) and The Bad Guys: Episode 1 (#21) by Aaron Blabey. All funny and engaging, they will tempt any reluctant reader that you may have in your family. For older children, of course there’s Harry Potter at Number 1. But there’s also fabulous books such as Once by Morris Gleitzman (#29), Hate U Give by Angie Thomas(#31) and Rick Riordan’s Percy Jackson (#45) – plenty of titles to get teens hooked. These are just some of our favourite picks – all of the wonderful books chosen by you are ranked in order below. They are all absolutely deserving of their spot on the Top 50 Kids’ Books for 2018. See the full list ranked in order below or download the Top 50 list for easy reference. This is why kids cannot speak or read the English language correctly.